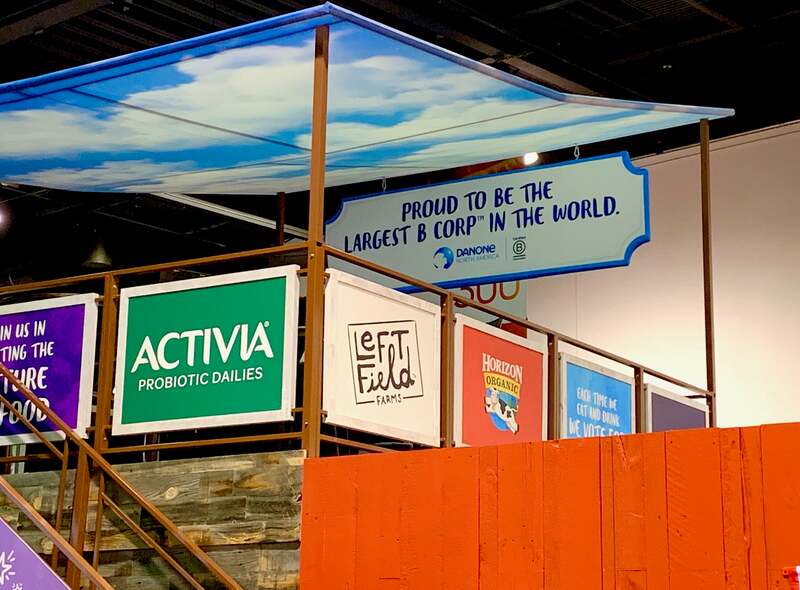 This year’s Expo West tradeshow (the world’s largest natural, organic and healthy products event) was inspiring, overwhelming, delicious and exhausting. But what made it really shine for us was the consistent B Corp presence throughout the show. 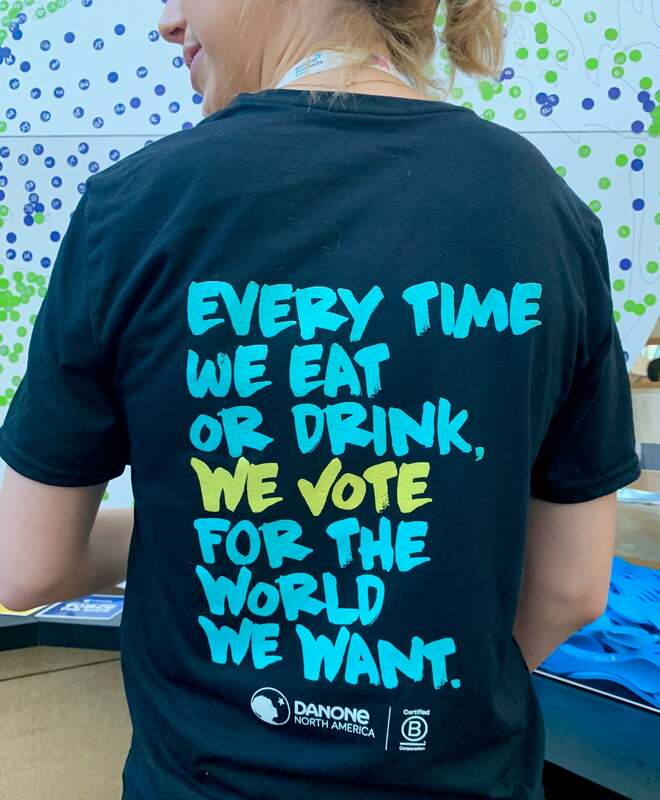 We’ve been a B Corp for more than six years, and in that time we’ve seen the movement grow from about 1300 certified companies to nearly 3000 with some impressive additions, like Danone North America, along the way. But sometimes each brand’s efforts feel like they are in a silo. Not so at this year’s Expo West. 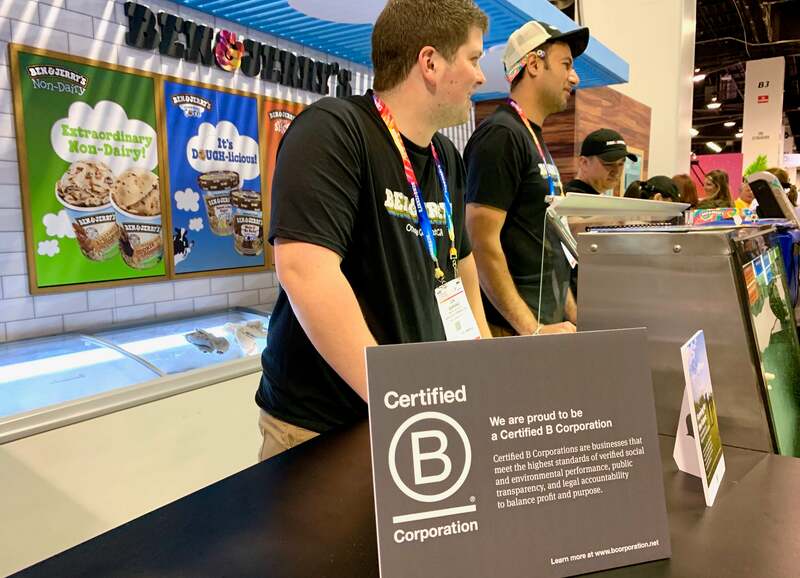 As we walked the various halls, B Corps held an oversize presence with brands like Dr. Bronner’s, Ben & Jerry’s, King Arthur Flour and the Danone North America pavilion, which featured its family of brands including Silk, Vega, Horizon and more. It wasn’t just the big brands either; companies like REBBL, Ripple, Tony’s Chocolonely and Mamma Chia had fantastic booths with lots of engagement. There were small B Corps we’d never heard of and wonderful discoveries, like Wild Friends, based in Portland, premiering their Chocolate Hazelnut Butter, a sustainable alternative to Nutella (which our kids love, but uses Palm Oil which we don’t). Plus B Corp represented at the NEXTY Awards, especially our friends at W.S. Badger who won a NEXTY Gold award, a category that recognizes “those brands that impress us year after year with products that truly move the mission of the natural products industry forward.” Congratulations Badger! Julia Cottrill, corporate marketing director for Danone North America, told us that as she worked a booth promoting B Corp’s current Vote Every Day campaign, she found that about 25% of the crowd knew what B Corp meant, 50% had heard of it and had some idea of what it was, and 25% hadn’t heard of B Corp before. Of course, this is an audience that has a high level of engagement with the value set of sustainability and using business as a force for good. Nonetheless, with 86,000 attendees awareness will grow just through exposure at all the booths and via social media feeds. 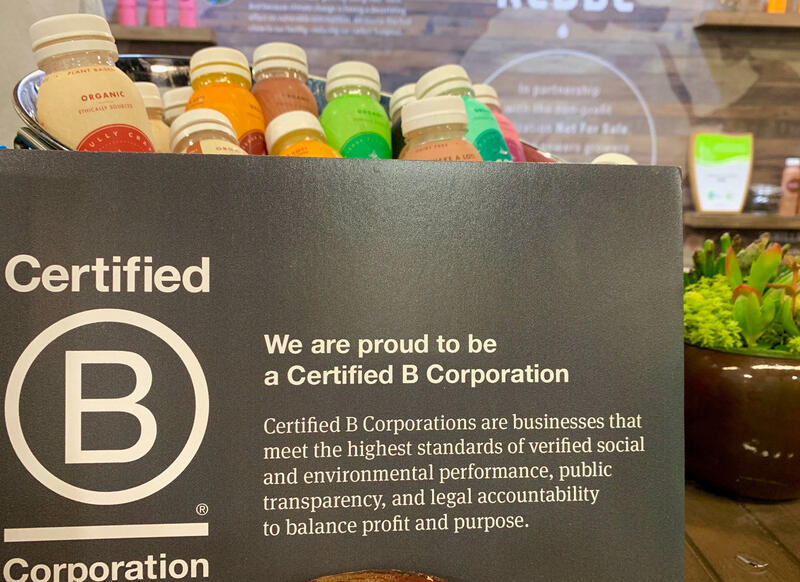 Buying a certified B Corp brand means you’re supporting a company that engages with its community, cares about sustainability and respects all stakeholders. 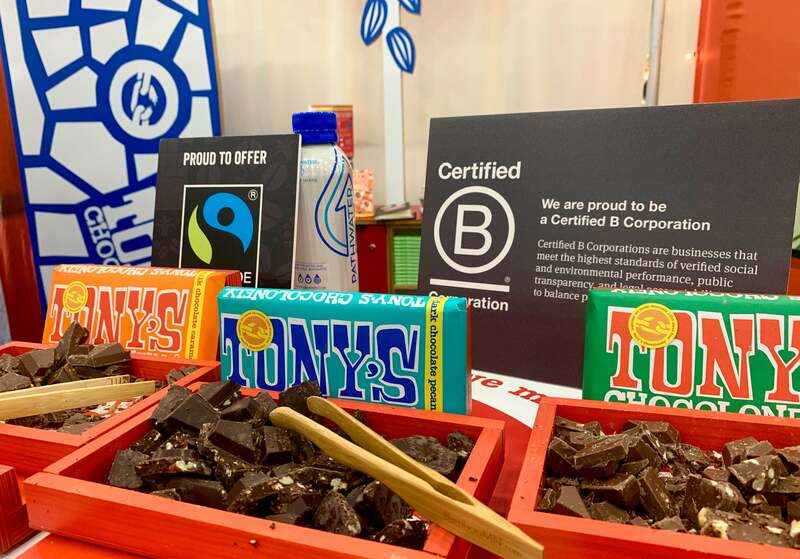 March is B Corp month, and it was clear at Expo West that with such a broad array of brands and quality products we can indeed #VoteEveryDay with our purchases.